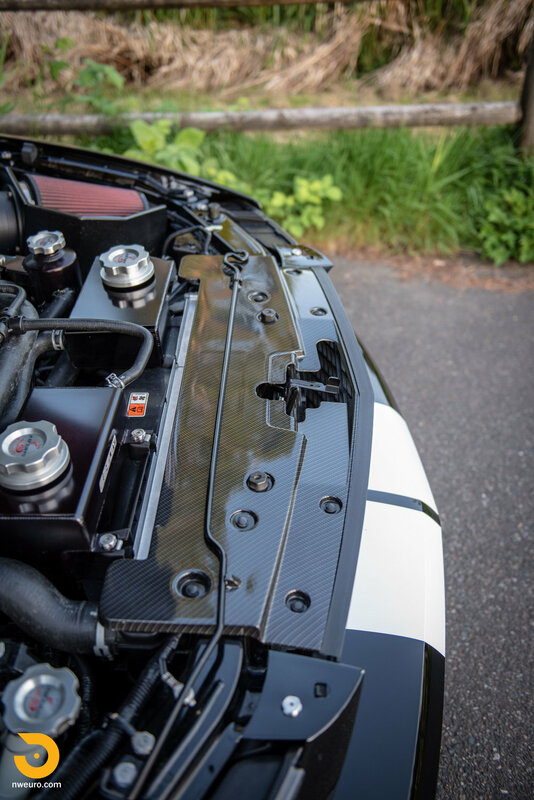 When Ford and Shelby get together, wonderful things seem to happen to the Mustang chassis. 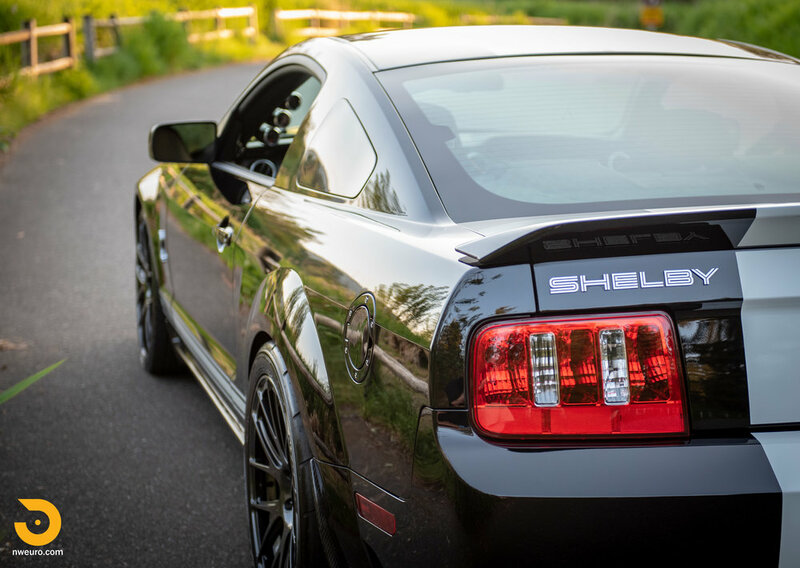 It was Carrol Shelby who raised the status of the Mustang into a full-on performance machine to be revered and respected. 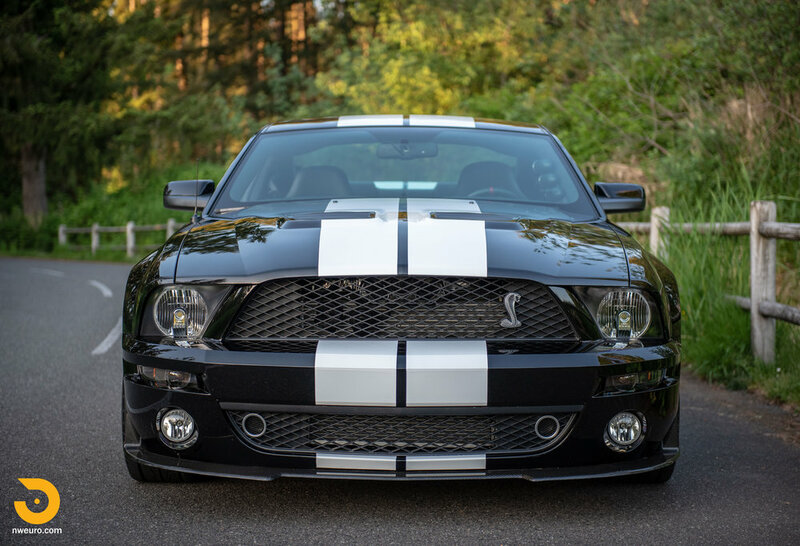 More power, handling, and style all come together and this 2009 GT500 is no exception. 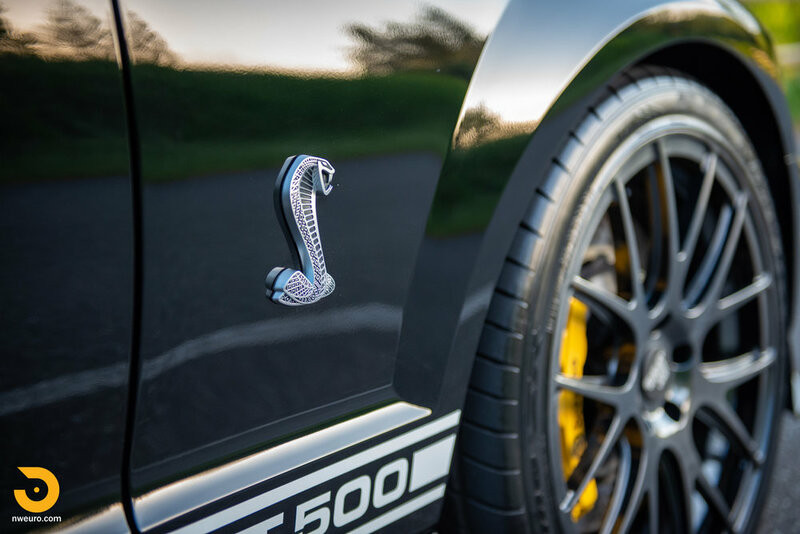 The Shelby GT500 comes from the factory with a 5.4L all aluminum engine, that is supercharged, and features 500hp off the assembly line. 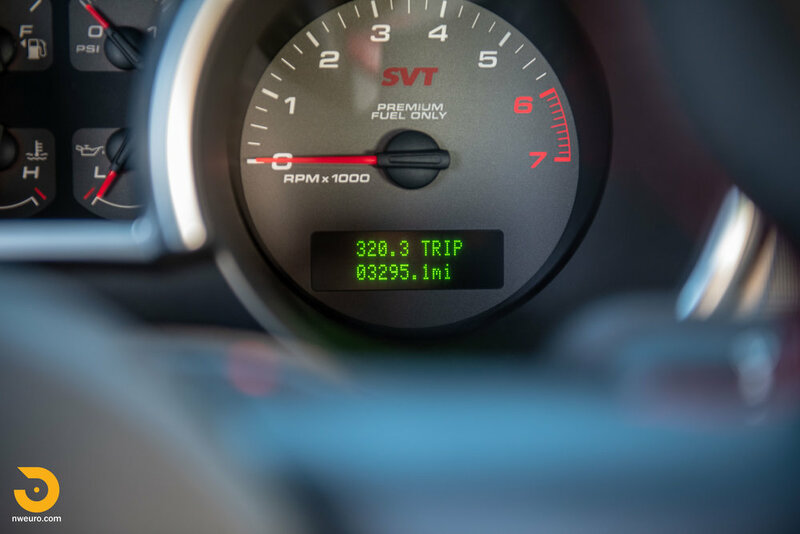 SVT and Shelby partnered to upgrade all aspects of the GT500 – engine, brakes, suspension, exterior styling. 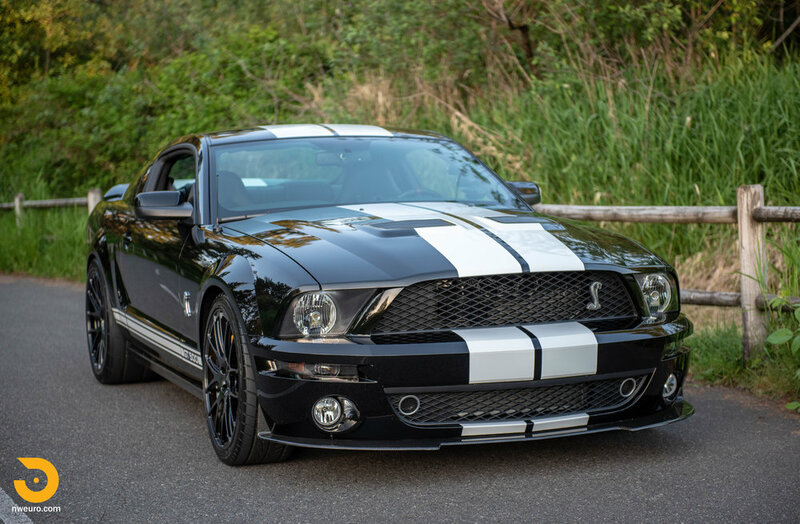 This 2009 GT500 Coupe was purchased through Courtesy Ford in Portland, OR. 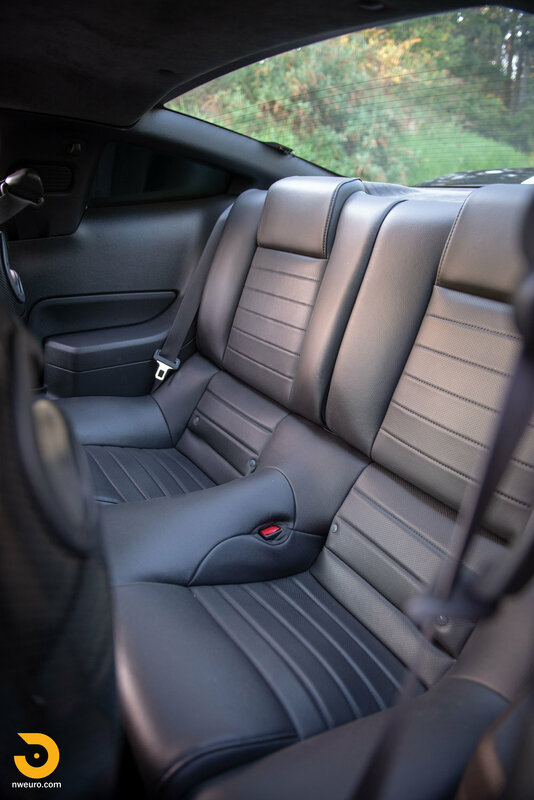 The car was tastefully specified with a Black exterior and the white stripes. The owner collected the car and pointed it north to its new home in WA. 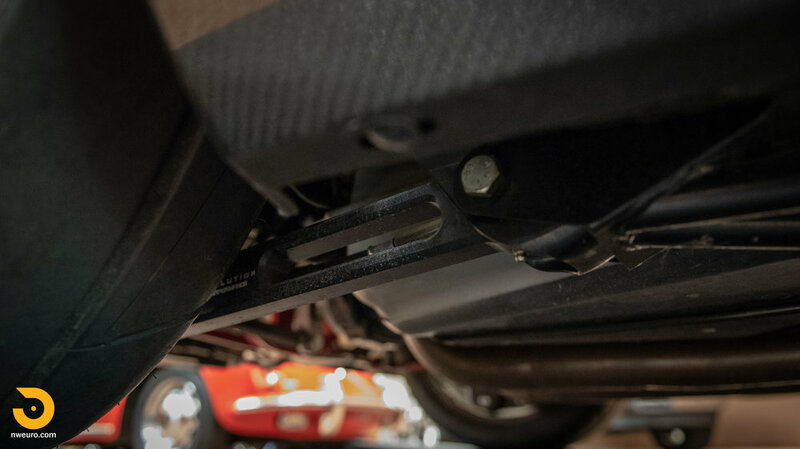 Then the modification bug bit…and how. 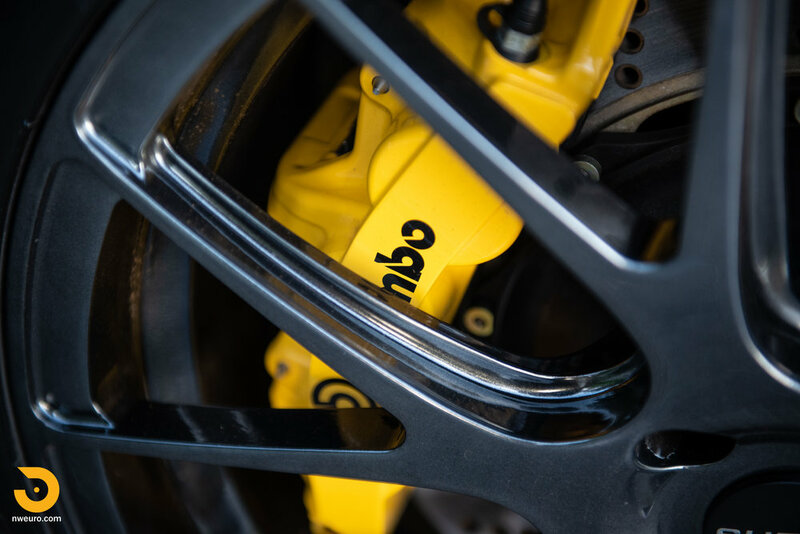 Wheels, tires, brakes, suspension, seats, all were upgraded in the first round. 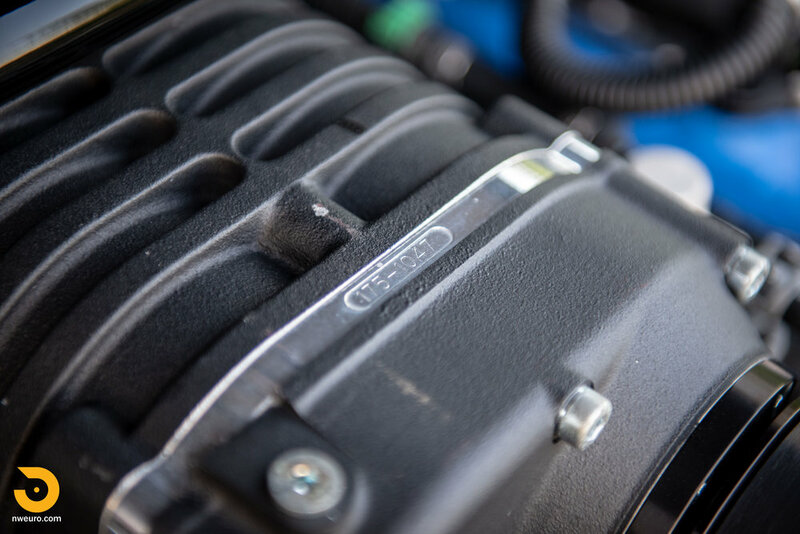 The engine received a larger supercharger for even more power, all safely handled with the correct parts and best names in the business. 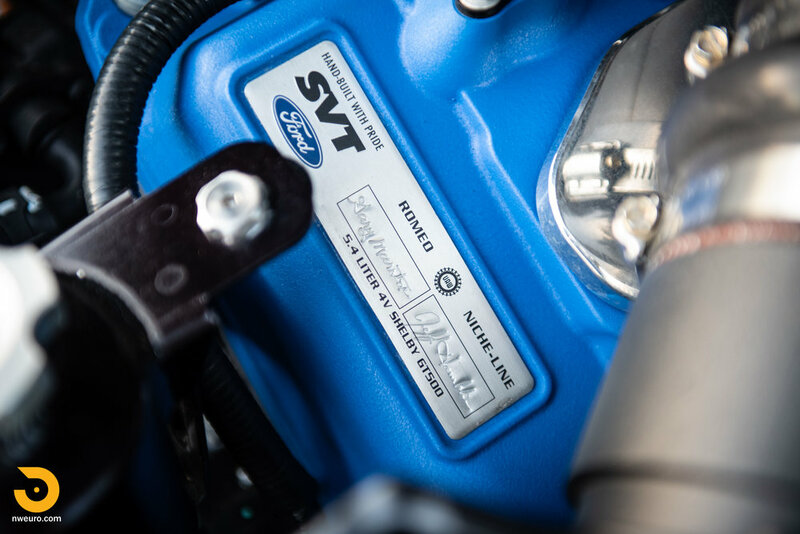 The power is well over 700hp now, and will keep up with any supercar now - if needed! The full details on the modifications can be found below. The cosmetics of the car are as one would expect with only 3K on the clock. 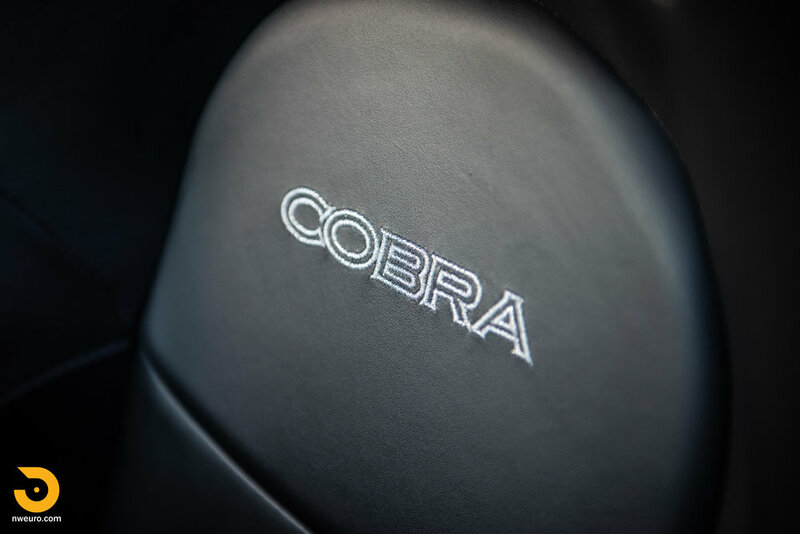 Paintwork is all original, and the interior shows very little signs of use on any of the surfaces. 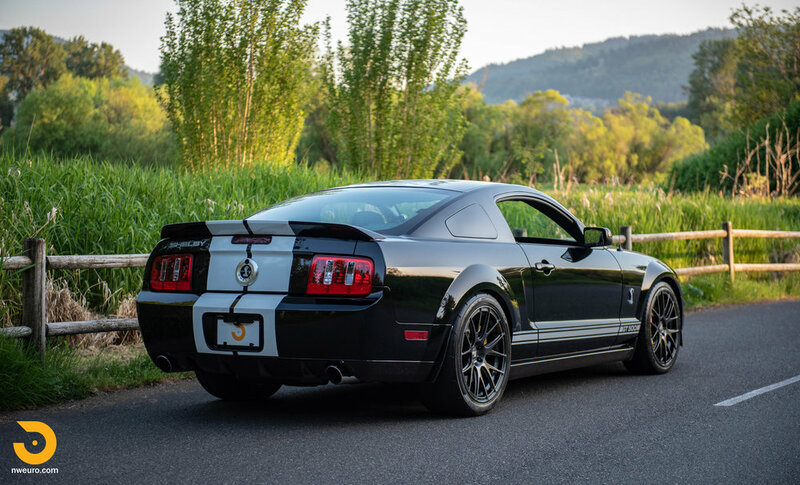 This one-owner 2009 Shelby GT500 is currently showing a touch over 3,000 miles and has a clean Carfax and clear WA title. 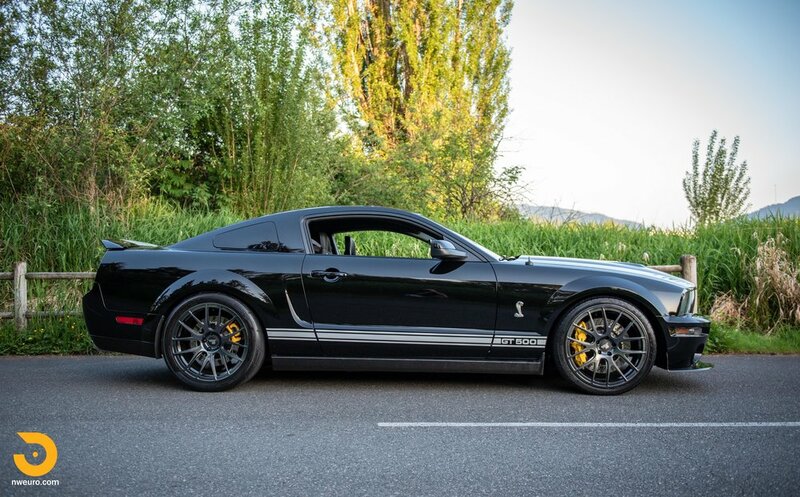 Offered with original manuals/books, several boxes of stock parts, this GT500 will not disappoint the driver in you. 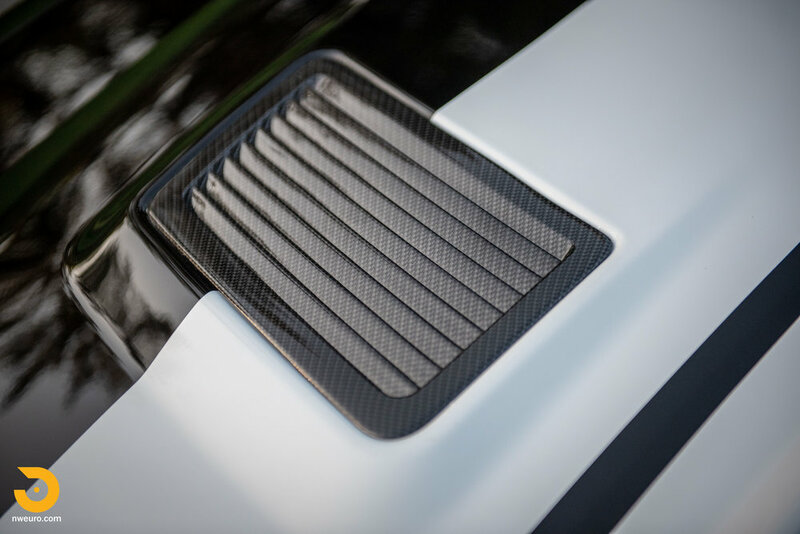 It would make an excellent addition to any Shelby enthusiast’s garage, and surprise just about any supercar on the road! 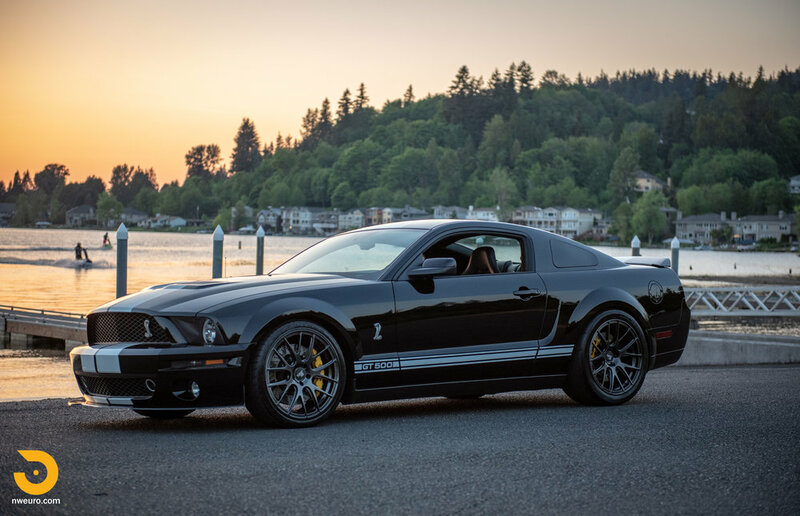 Please call Jason at 206-355-7727 for more information on this Ford Shelby GT500 for sale.